'74 El Camino "Project Badass"
My name is Demid, I'm new to this forum. 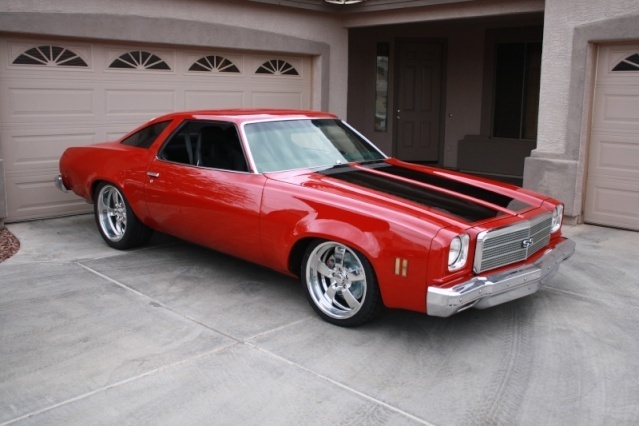 I would like to represent you my project that is based on 74 el camino. I live in Russian Federation, city Saint-Petersburg, right behind the Atlantic ocean if looking from USA. English is not my native language so I'm sorry for some mistakes in future. Here in Russia we have a small amount of US cars from 60-80 era, not all of them are in great shape, but some units are like treasures for us. 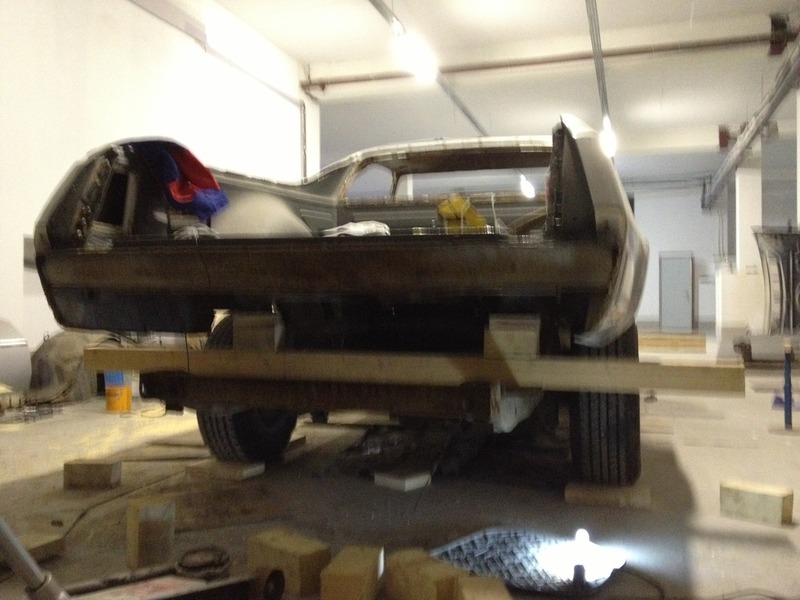 Frankly speaking every car from 60-80 especially restored with quality attaches here lots of people views. 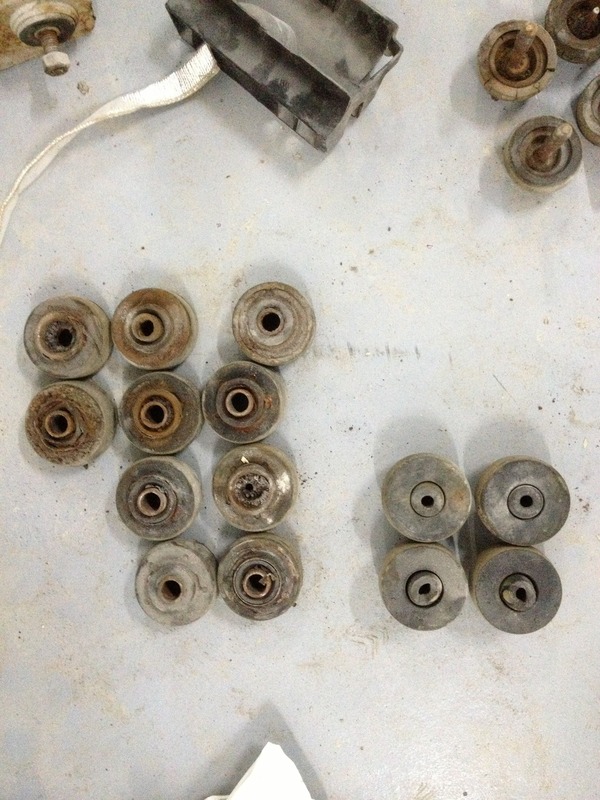 We have NO inch staff, no used/new spare parts for 60-80 and earlier, everything only from US by mail. 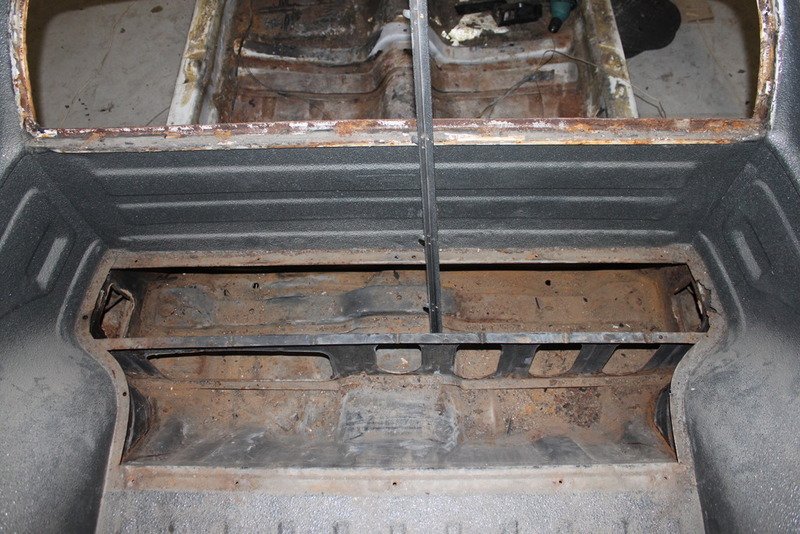 This thread won't be an expensive protouring build, it's just another budget restoration story. 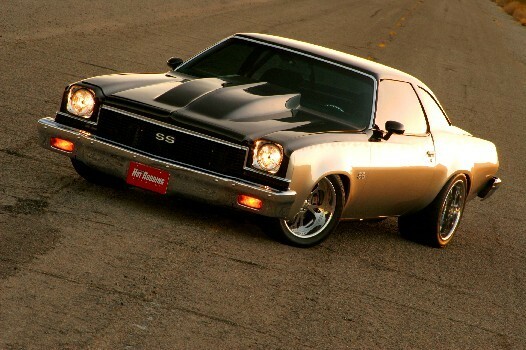 Never had a deal with US cars before that, only euro, but had a dream from childhood to drive a powerfull chevy V8 car. Never had an idea of buying smth like this so soon but in the end of 2011 El Camino turned up near my location and after some inspection knowing nothing about US cars desicion to buy it was made. 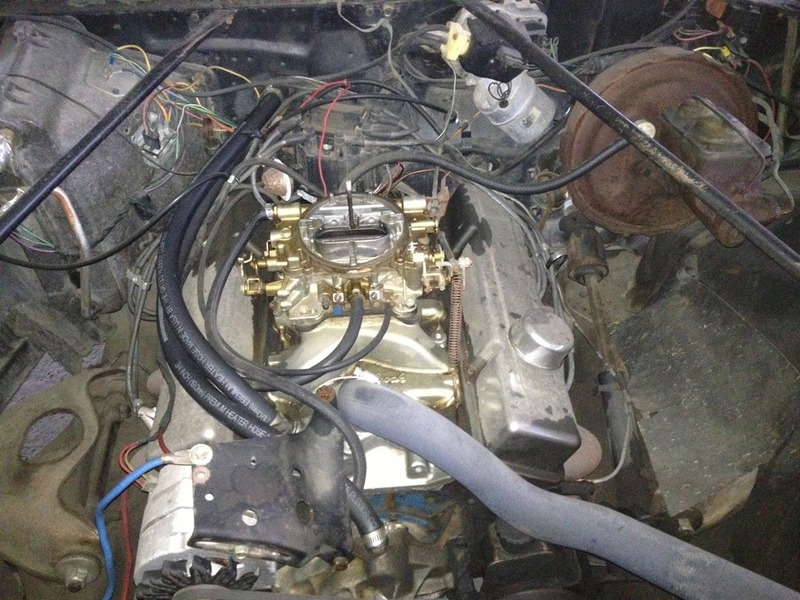 It was bone stock car from sunny California with, as I learned later, already rebuild in US stock L65 350sbc 2bbl carburetor 145HP connected to TH350 and 8.5" rear end, already repainted from original white to silver, with blue interior. 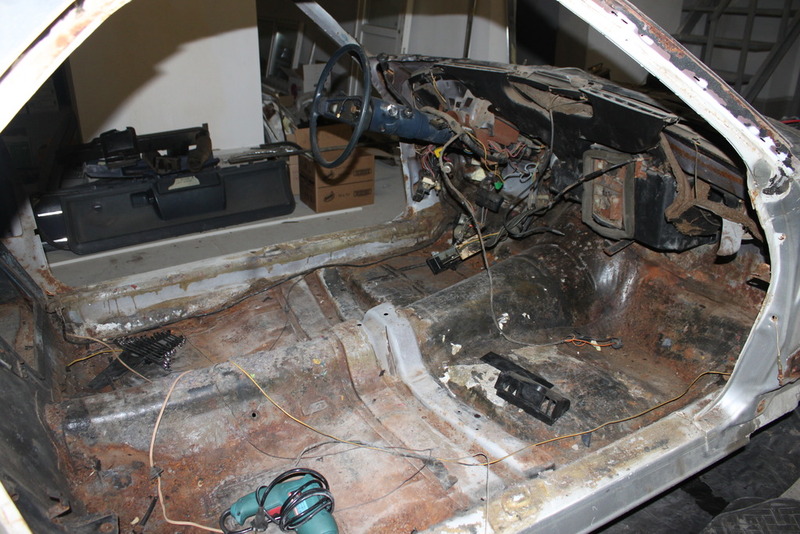 Front disk brakes, cutted off A/C, trashed dash, no radio and semi-working speedo. Odometer read about 74k miles. A little rusty, a little bad primered and painted, scratched windows after using them without felts, all rubber parts were dead, shocks dead, a little aftermarket wiring web, cracked rear lights lenses from time, non factory fronts, 454 logo on fenders and aftermarket exhaust till rear axle. Nobody changed engine oil don't no how long, th350 was slippering and leaking oil from under the dipstick + smth wrong with carburetor. Nowadays we have here in Russia about 6-7 the same cars at all. After next summer of weekend driving trying to repair everything that was going wrong, car was parked for winter and a desicion of frame off restoration was made. Frankly speaking I don't think that 4th gen is best looking cars from the factory. Yes from some points of view it's ugly but there is smth in it's body lines that catches you. I was inpired by 4 projects that I found on the web during these years, I will be glad to post these 4 photos because in my opinion they are the best looking 73-77 on the web. 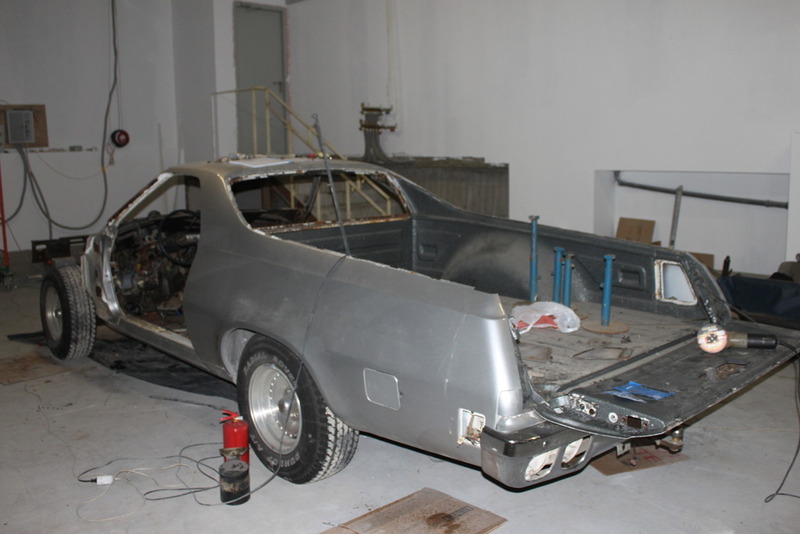 Re: '74 El Camino "Project Badass"
Welcome! Looks like it's in better shape than what a lot guys here started with! Welcome aboard! Looks like a great car to start out with. Had no idea they got to Russia. Hope to hear more about your plans! You found the same inspiration of me and English is not my native language to! I had to look all of that up! Hope it makes sense. Welcome !! from Michigan USA ! Your El Camino looks good !! I am a new guy here too, (October this year) There is a wealth of information on this site and some of the greatest people I have ever come across. 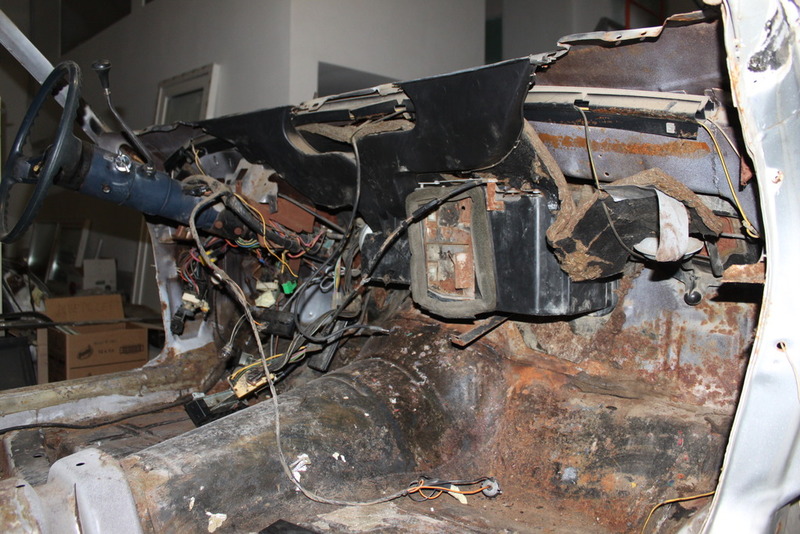 Good luck with your project, it looks like you have found a solid car to begin your restoration. thatfnthing wrote: Welcome! Looks like it's in better shape than what a lot guys here started with! chevellelaguna wrote: Welcome aboard! Looks like a great car to start out with. Had no idea they got to Russia. Hope to hear more about your plans! 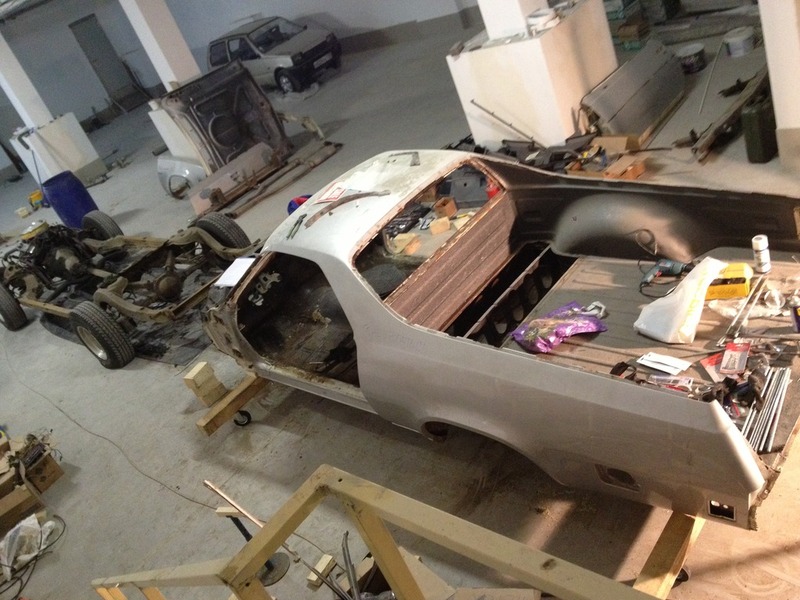 Thank you, the car now is still in progress, slow but progress and I have lots of photos to show! tropdeprojet wrote: You found the same inspiration of me and English is not my native language to! Ok, I'll watch your thread, thank you. Sorry I forgot is it Malibu front end? It's very cool looking and must have but it's extremely expensive for me to send full malibu nose as a piece by shipping company over the ocean, it's too large and heavy. Roadcaptain S3 wrote: Здравствуйте. Рад тебя видеть. pila wrote: Welcome !! from Michigan USA ! Your El Camino looks good !! Thank you! Yes I search this forum lots of time before as a reader. Thank you guys for so warm welcome. 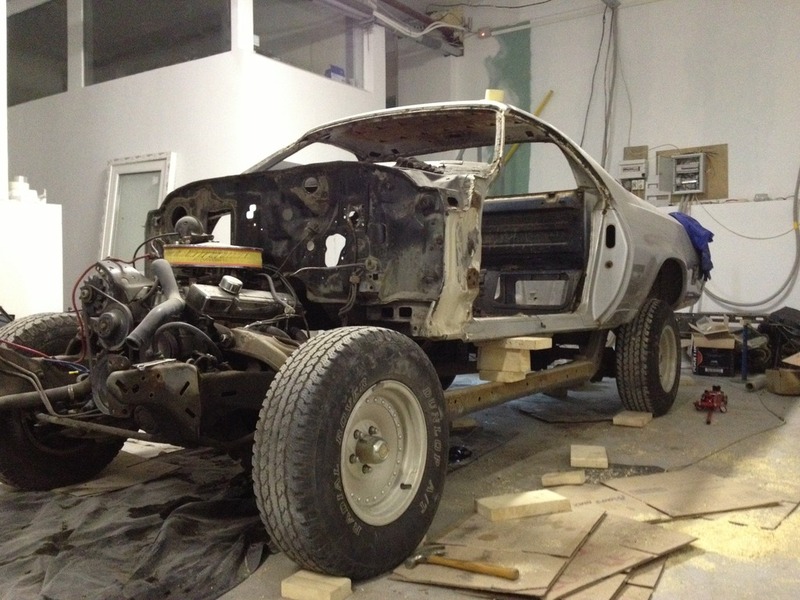 I have lot's of photos and lots of questions on car and I will try to post everything by parts as soon as possible. I'll bet Bobby speaks with a heavy Google accent. Welcome. As someone Said there is alot of info on this great site. Im in Copenhagen Denmark, not that far from you. I hope you reach your goal with that Nice elco. Nice to see one more Being saved. We used to have alot of them in the 80s as they where a popular work car. But since we have alot of salt on the roads during winter. They rusted away, so now they are rare. I have the only 75 chevelle in the country now and i get more antention than Nice camaros and such. It took 5 years to complete and more money than i dare Think of. 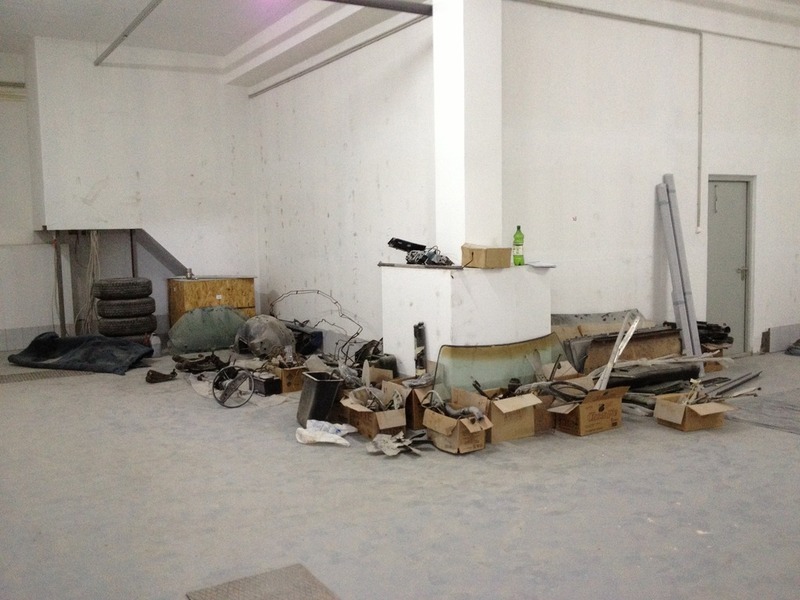 ...restoration planned to be a budget one, so most of the work I planned to do myself and with the help of my friends. I never dissasemblied any car to bolts and nuts before, never ever. Thanks father for having such a large compartment where I can work and friends spending time to help me. During dissasembly some interesting not factory holes were found under paint, under interior carpets and under smugglers box cover. 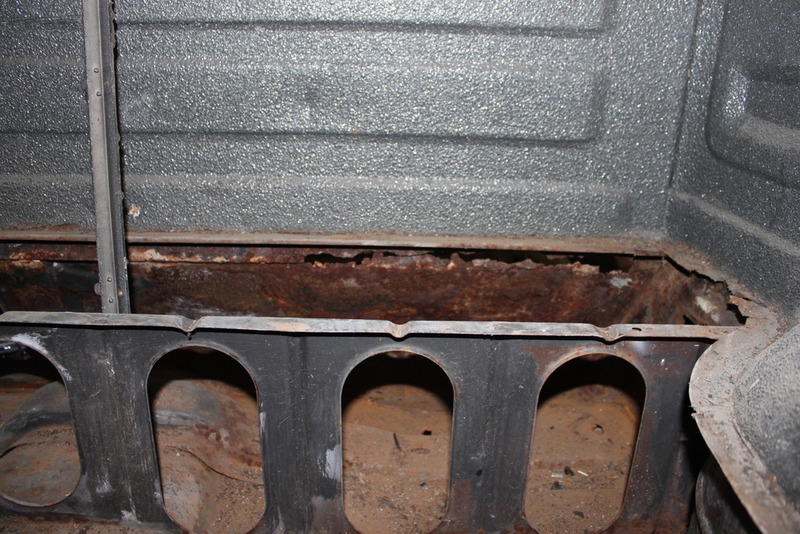 Some metal patches on the floor were found and poor metal eated with rust near battery - battery tray and a part of radiator support. Now I understand that battery tray was not oem, so need to purchase a matching one. 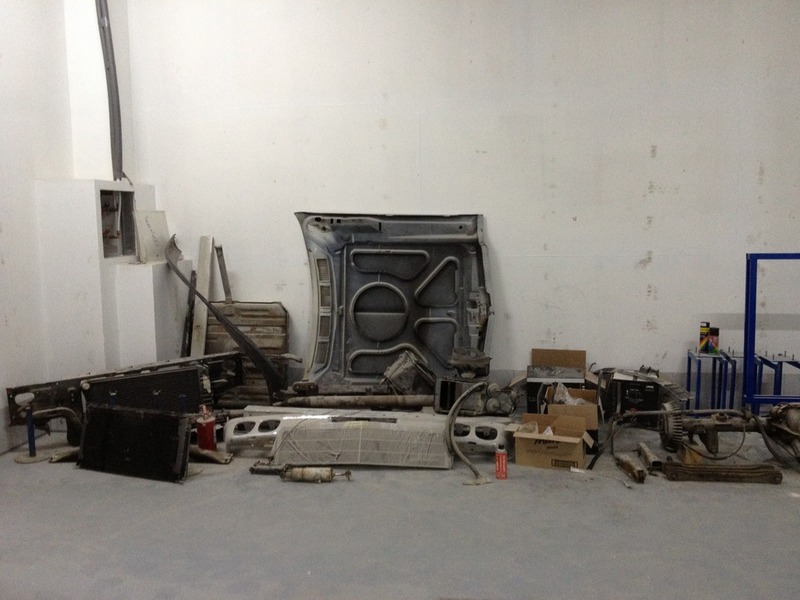 Doors, tail gate, fenders, bed, window frames - all in good shape at first glance. Not bad for 40 years old car I think, especially comparing to same era cars here in Russia. Bumpers, crazy crazy solid massive and strong comparing to modern cars. 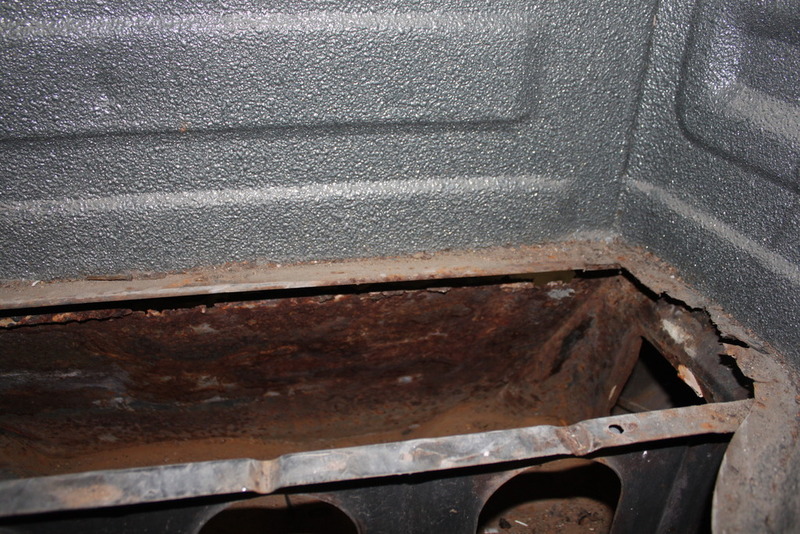 Tailgate was the hardest thing to remove, all 12 bolts were stuck in rust dirt and hard paint. 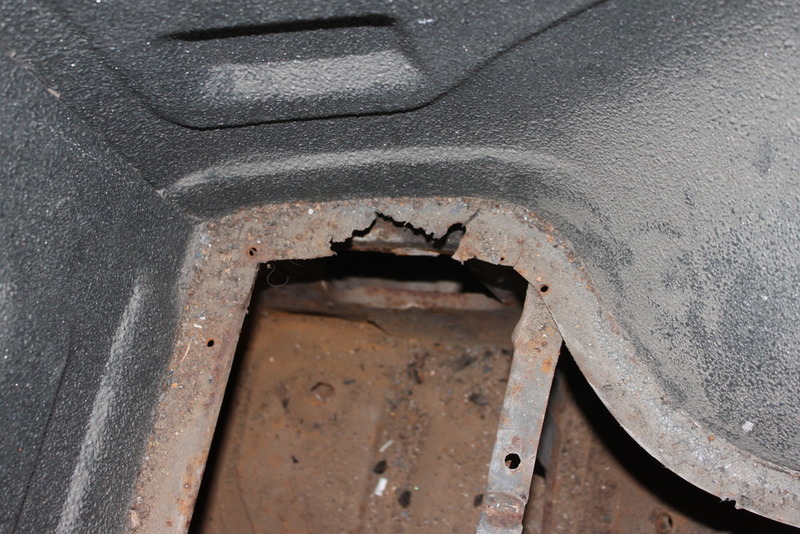 All bolts were drilled out and went to garbage. I don't know where to find new original or similar philips bolts with round heads to let tailgate cables slide over them. So for now I ordered from US hex bolts with the same thread but they don't allow cable to auto hide when tailgate is closing. If anybody has any info on original bolts I will be very pleased. 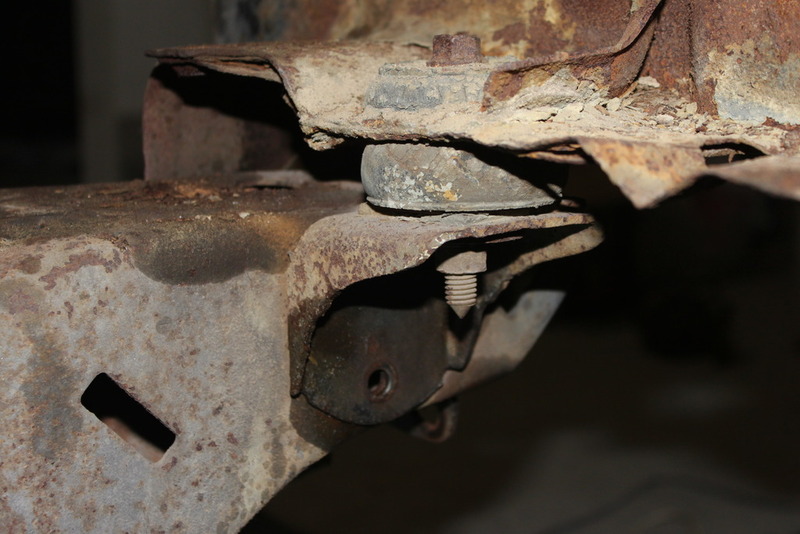 Besides that all bumper bolts were a trick to unscrew. Does anybody know where I can find this new plastic frame with foam rubber around the heater window? Photo below. It's was broken to pieces and glued and I never see a spare one. Window frames - ok. Front window was with crack and it cracked much more during taking out because US coin was stuck between the window and body. 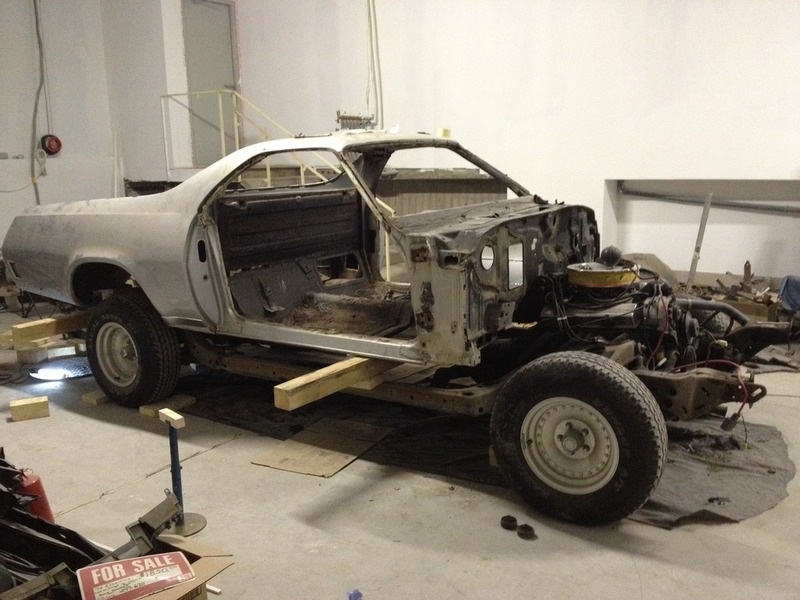 We have a russian US cars forum so I think a year later I was searching for anything for a-body there and then I found it. Yes, it was a front glass, brand new, boxed, matching mine Ofcoarse it's made in china, but with the same mirror mount, antenna as I remember and blue tinted stripe. It was like a treasure for me) No searching, no mail, no shipping company, it was 2-3 districts from me in my city, it was great find! I'm in Canada and the parts was hard to find to. I have a restored oem battery tray here. For the tail gate bolts, i have the same problem. I put button head bolt. For the tail gate cable bolts, i bought a new set of tail gate cable and the bolts was included. I had a good condition used set. I never seen a heavy bumper mount like this! 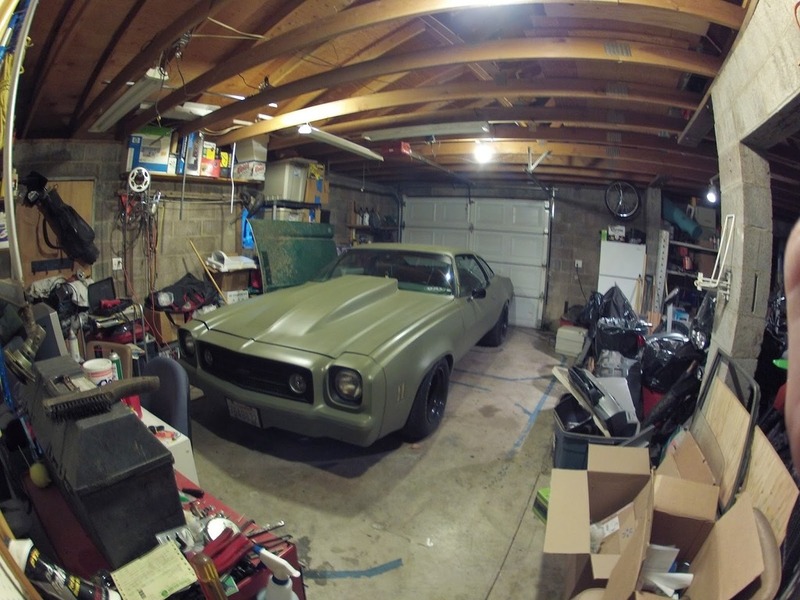 Your car look like a good project car. tropdeprojet wrote: I'm in Canada and the parts was hard to find to. I have a restored oem battery tray here. If you come to Copenhagen one day look me up. 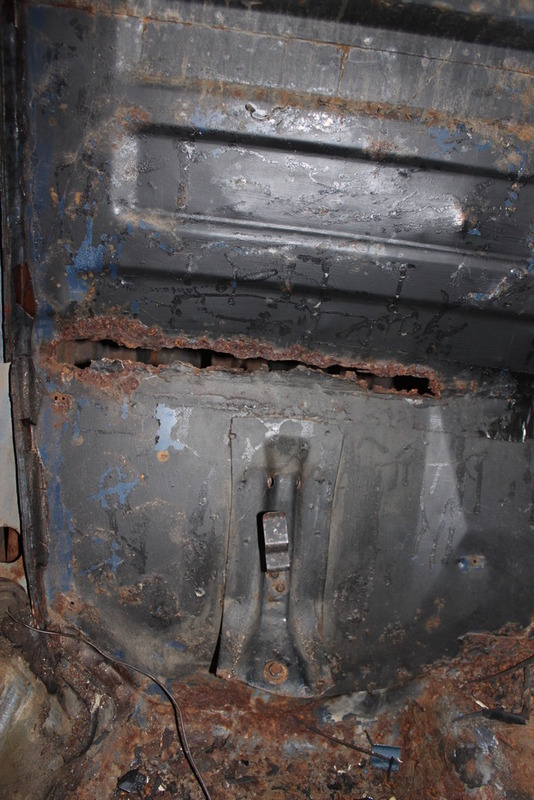 Anyway i have restored a lot of a body cars over the years and that rust you have in the roof is from the original joint where the rear quarters meget the roof. There usually is alot of filler in that area. Heat it up slow with a torch, and then you can scrabe it of and expose all the undelying rust. As for parts i have Found the elcaminostore.com has alot of small hard to find parts, and opgi.com has alot of the bigger items. Although not all of the parts is that good quality. I have bougt alot of different items that turnes out to be less than good quality when they arrive. So much so that they never was put in the car. So all that you can salvage of the original parts are a win. 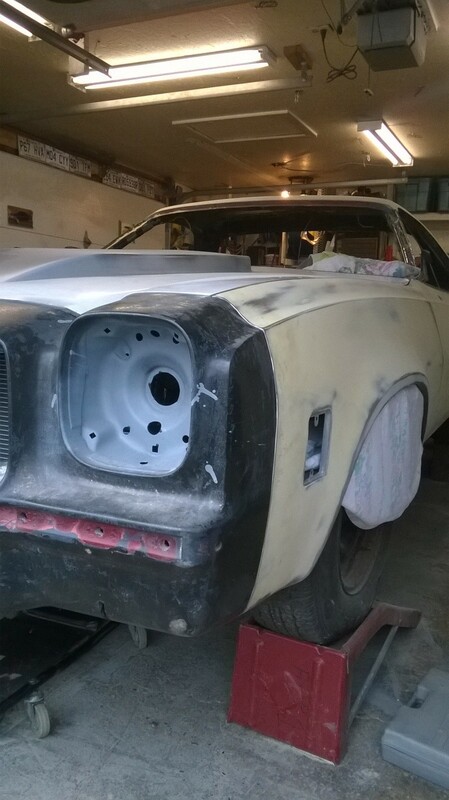 It seems you have along Way to go, and Being in the automotive hobby has shown me that most people loose the energy to complete a restoration after the disasemble. Mostly because they tendens to fokus on all the work ahead, so take it slow and concentrate one one job at a time. Slow and Steady wins the race. 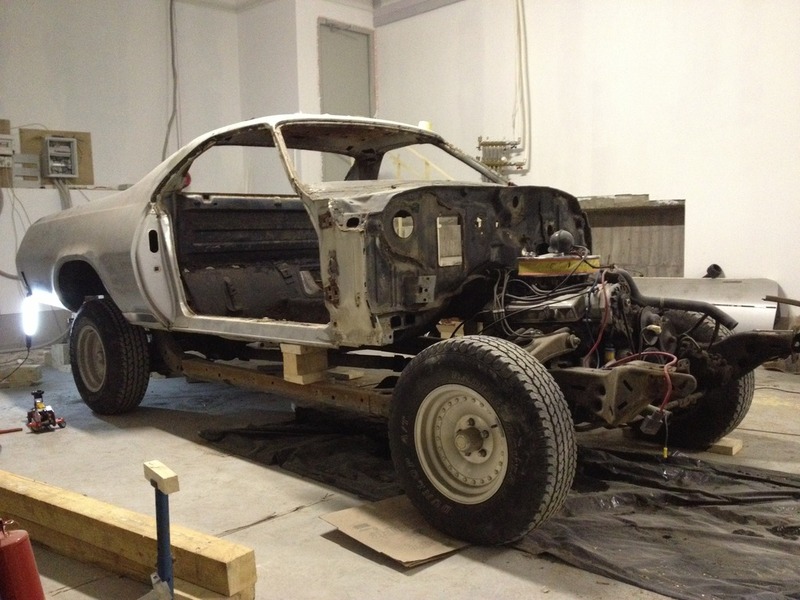 On average every car i have ever restored has taken between 2 and 5 years depending on shape from the start. And of course how my economy has been. 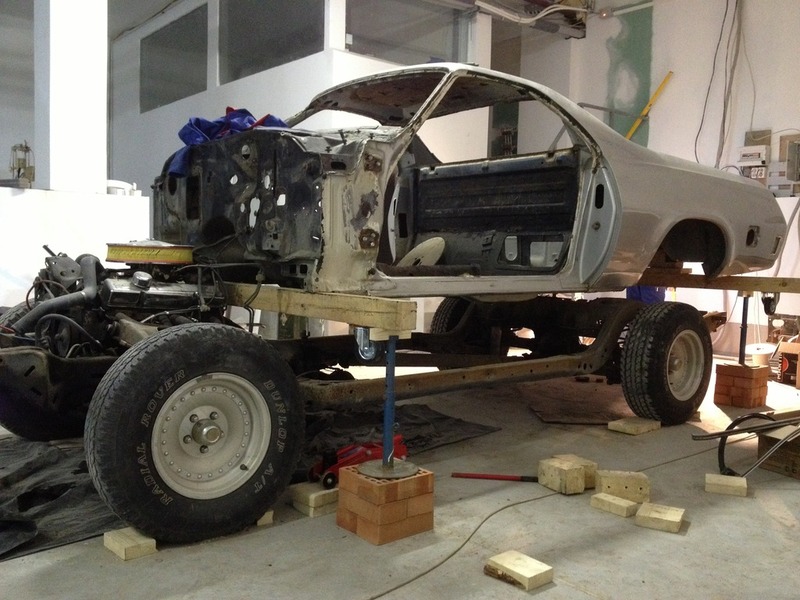 For it takes a ton off cash to build a car. And friends, no one builds a hot rod without friends. Sorry for the long novel. Hs1973 wrote: If you come to Copenhagen one day look me up. 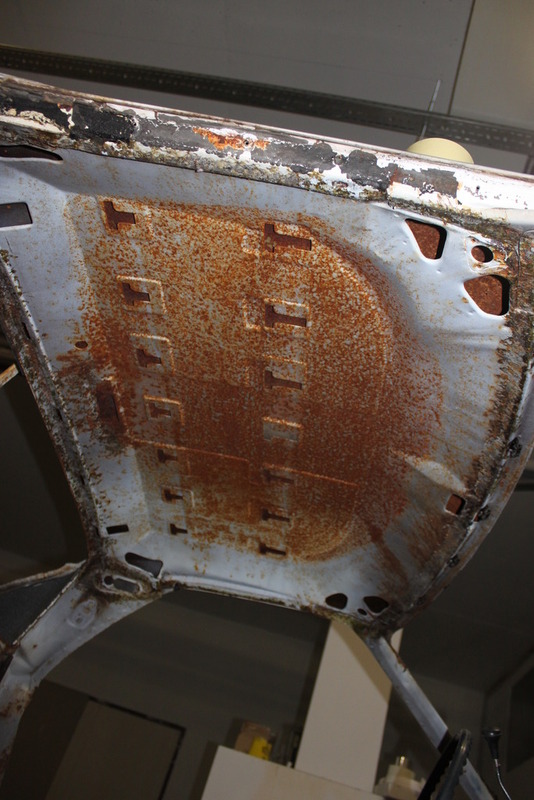 Anyway i have restored a lot of a body cars over the years and that rust you have in the roof is from the original joint where the rear quarters meget the roof. There usually is alot of filler in that area. Heat it up slow with a torch, and then you can scrabe it of and expose all the undelying rust. I'm dealing with this build for already about 3 years, and yes there were moments when hands were going down. Everything because of limited quantity of parts, rare parts and russian money exchange rate that extremely fast falls down to US $, so everything goes twice expensive in a year. 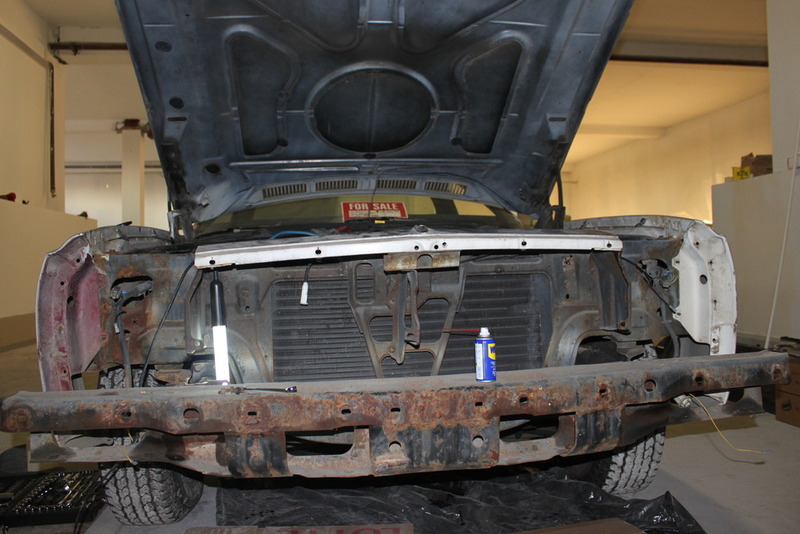 I think if I was going to restore it to stock look it will be more easier. It was a nightmare when I tried to find spare spring into column shifter because mine was cracked in halfs or when I lost a steering wheel nut and tried to find spare one. In 2 this situations only second attempt was a win, but each of it lasted for 1-1.5 month (searching-emailing-shipping). 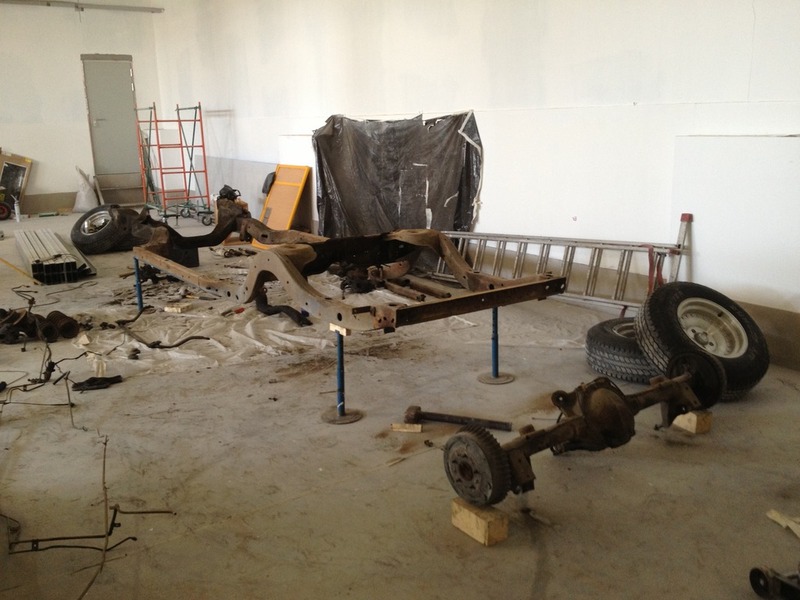 The other thing is that we have no quality car services at all especially talking about body work, that's sad. Dude you must have a huge market for someone like me that is a body technician. 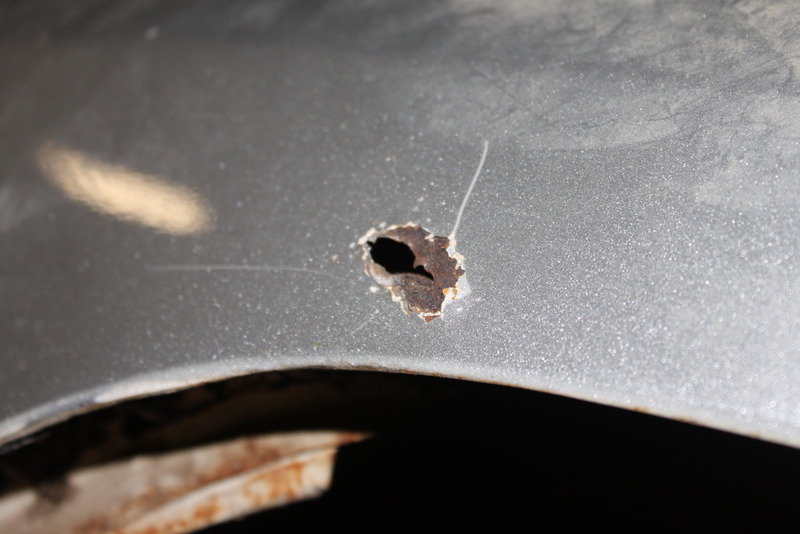 In Denmark almost all garages has one or more guys firing collision damage and rust. 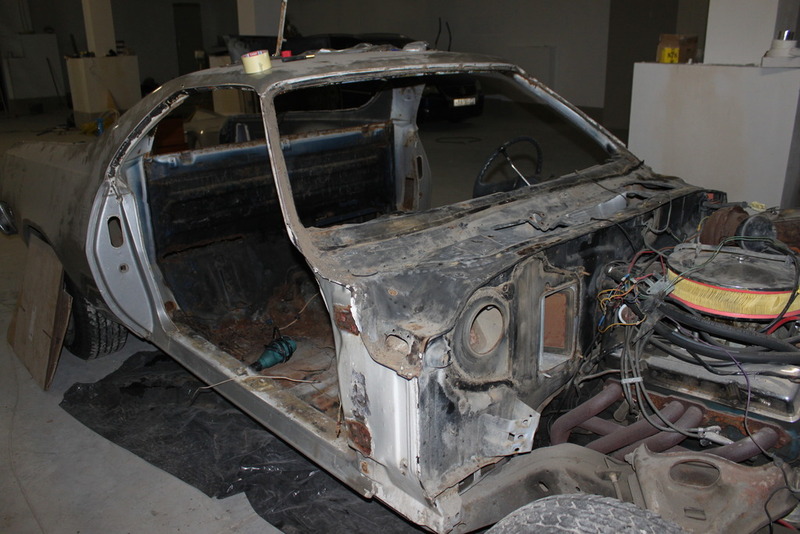 So it is easy to find someone that can do bodywork, bit it is not cheap and not all will or can fix the old cars the right way. So you see alot of bad bodywork sometimes. But hang in there and dont give up. Come to Denmark this summer we have alot of old car meets with espesially american cars. 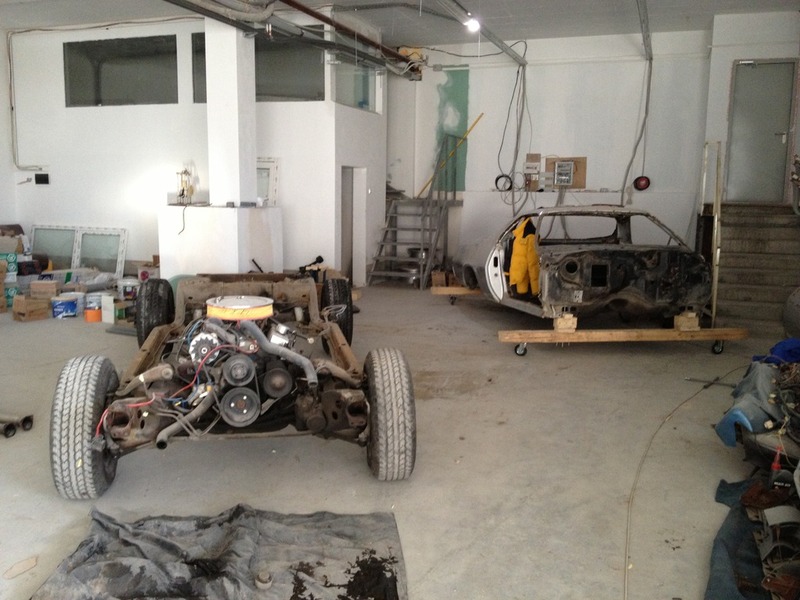 Try and have a look at the site smallblock.dk and you can see just some of the cars for sale here. And just how popular us cars are in Europe. Of course we are close to sweden. And there us cars have been hot for decades. 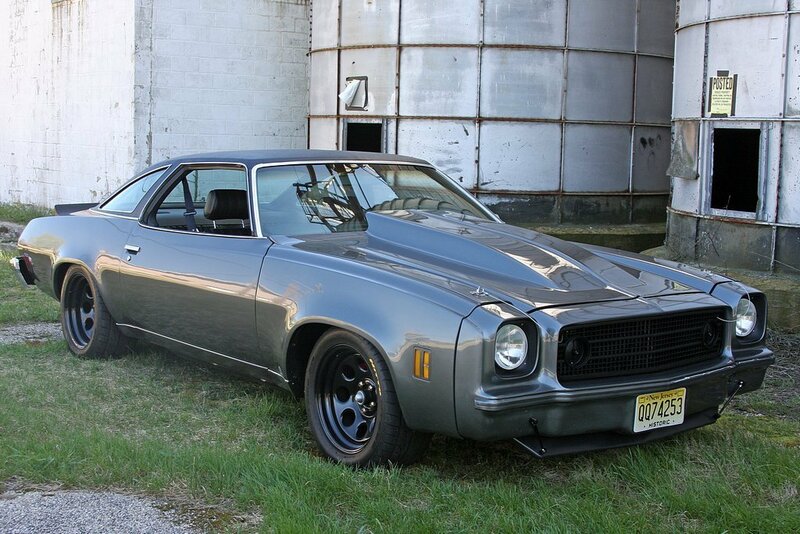 They have the largest mount of rare musclecar and other outside the us. Hs1973 wrote: Dude you must have a huge market for someone like me that is a body technician. In Denmark almost all garages has one or more guys firing collision damage and rust. 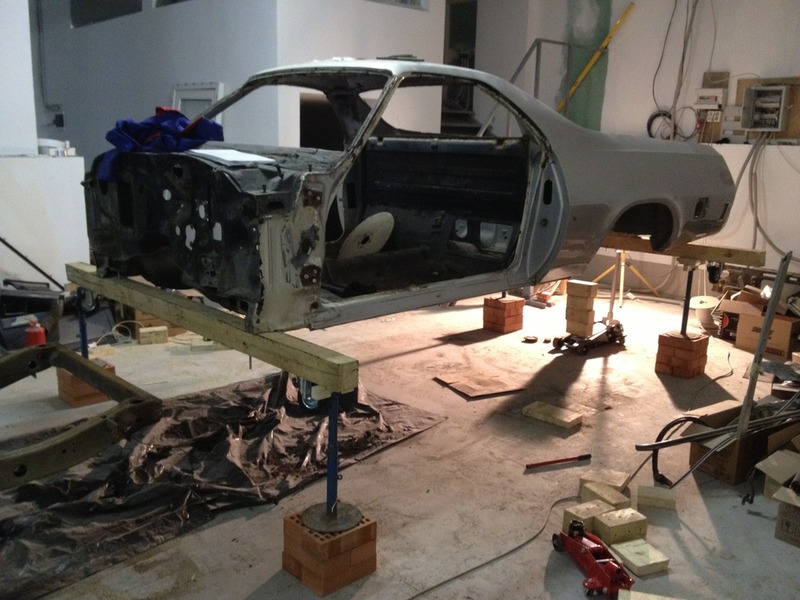 So it is easy to find someone that can do bodywork, bit it is not cheap and not all will or can fix the old cars the right way. So you see alot of bad bodywork sometimes. 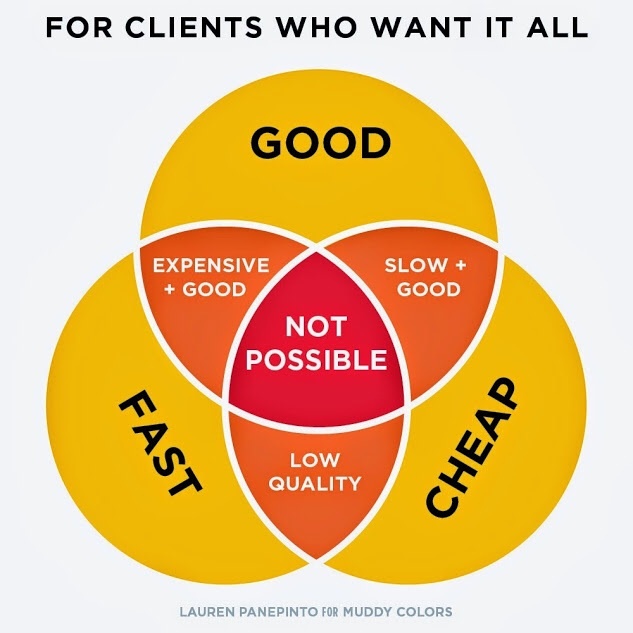 Nooo, it's Russia, forget about good quality service. Price doesn't matter, you can get the same poor result with expensive service. I don't give up all body work is done a year ago, middle priced, imho poor quality. May be sometimes i will repaint it. That's all because I didn't control all the stages of bodywork because of lack of free time and I wasn't able to recognize result before the work is done. It's like choosing car paint color - you will never know how it will look in real until the car is painted. As for europe car meets i'm dreaming to visit Power big meet in Sweden. I usually visited Finland, they have some cars but in Sweden there are thousands of them, that's true! First part of tearing everything that tears apart was done. The next was separation body from frame. 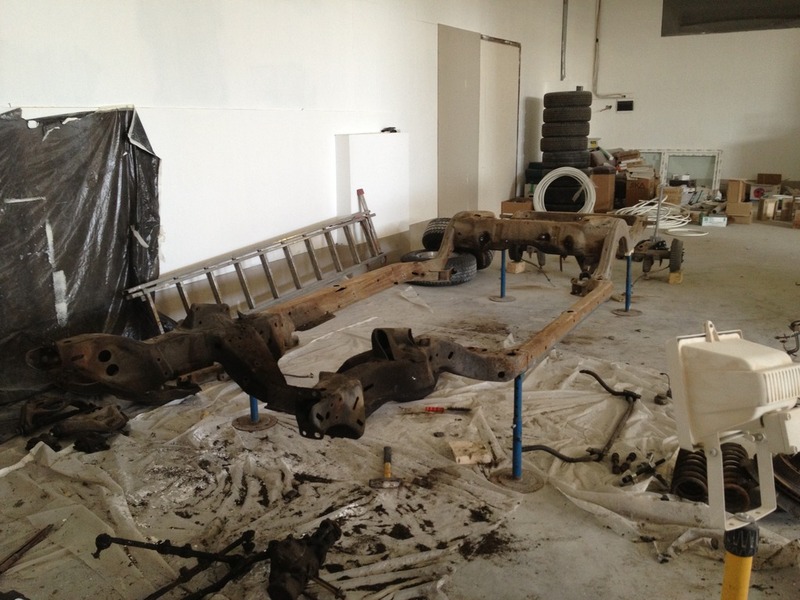 We had no car lift, only two 1 ton jacks, 2 persons, some wood, 4 metal racks, some bricks, and a little hope that body won't fly from racks causing more and more body works. And it worked for us. Thanks my mate for helping me! 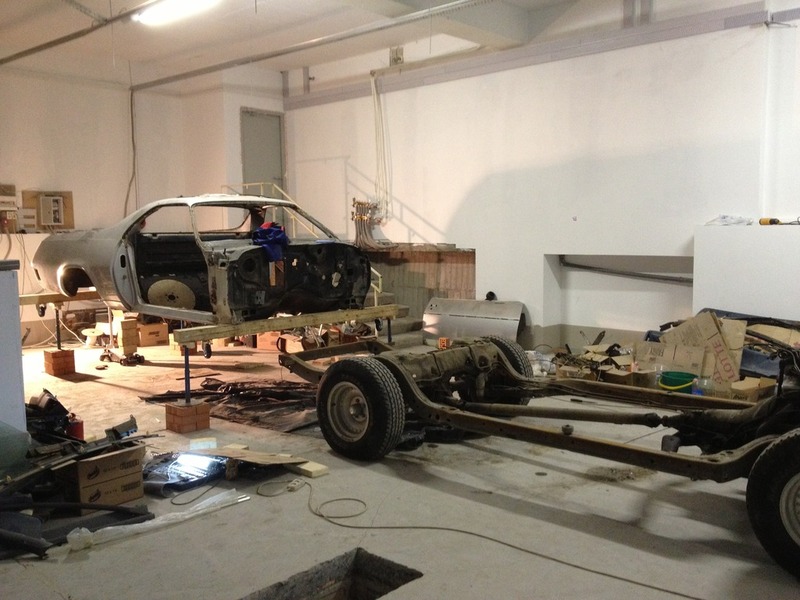 Body was rolling itself on wooden frames with rollers, frame suspension and drivetrain were still together. The time of them had come. 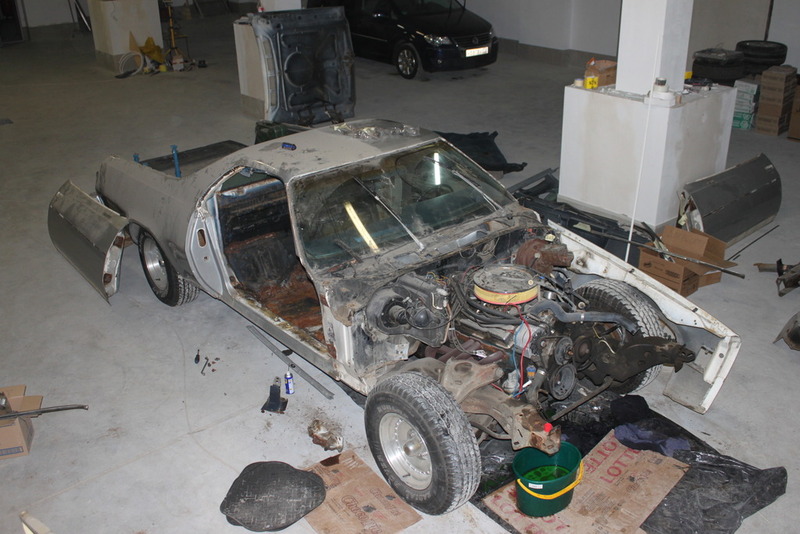 Suspension was disassembled, engine and trans out, rear end out, all rubber parts sent to rubbish. 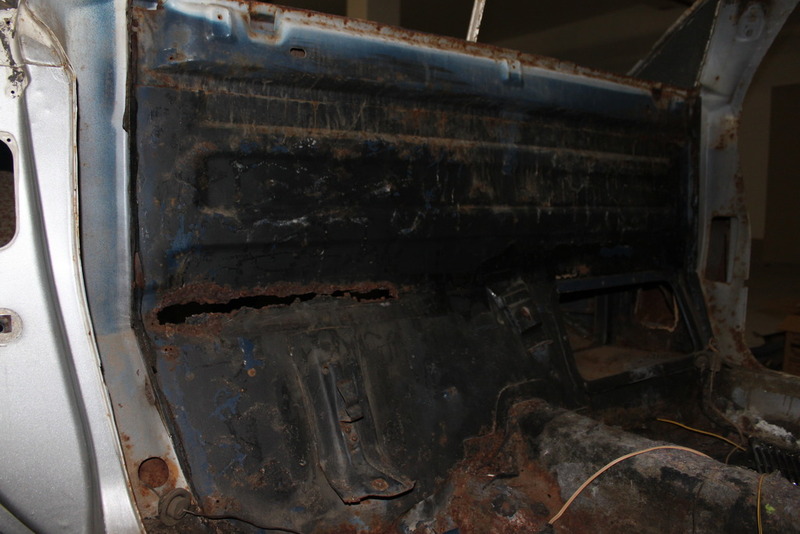 Frame and arms were with no dangerous rust, only on surface. 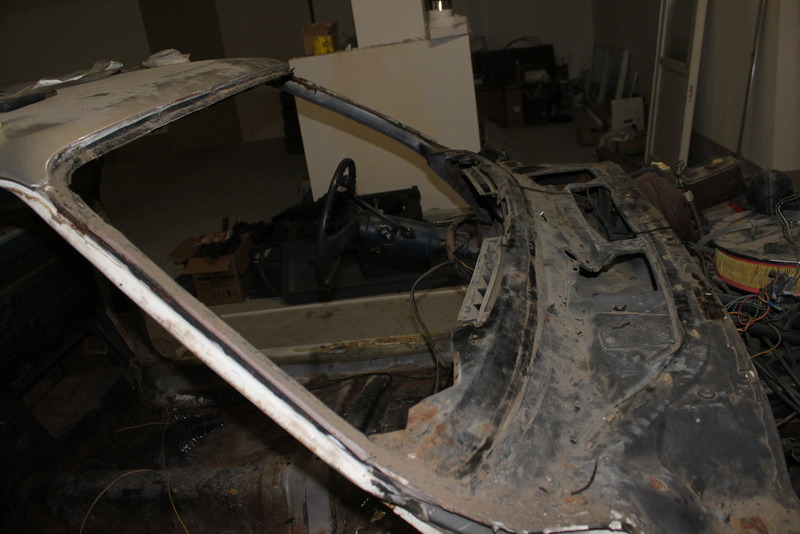 Car was expanded align two walls. During disassembling I made a lot of photos, mark a lot of parts and pieces and thought that every part was marked and noted. Now I understand that not every and there was a lack of photos during disassebmling. 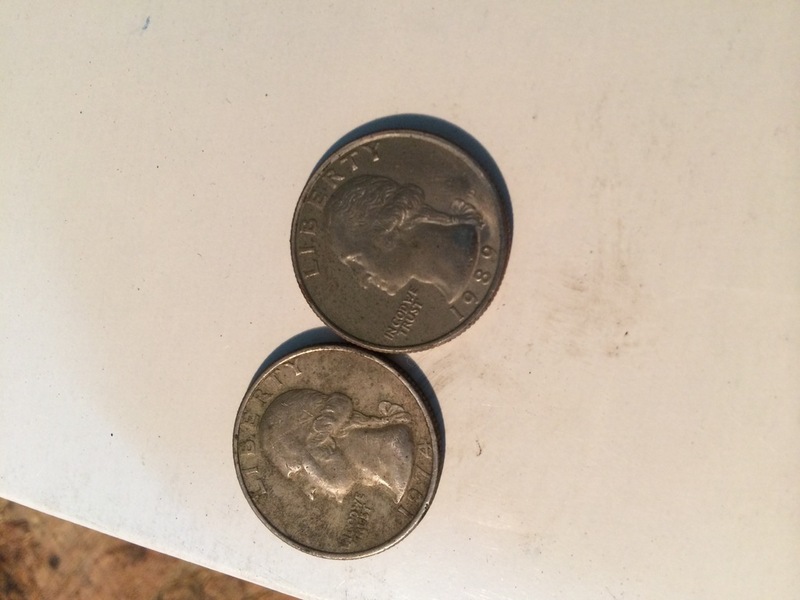 We found 2 coins inside of the car, one from the car's birth year, another a little later. I don't think they are expensive now but it's extremely cool to find and to touch some foreign 40 year old history. 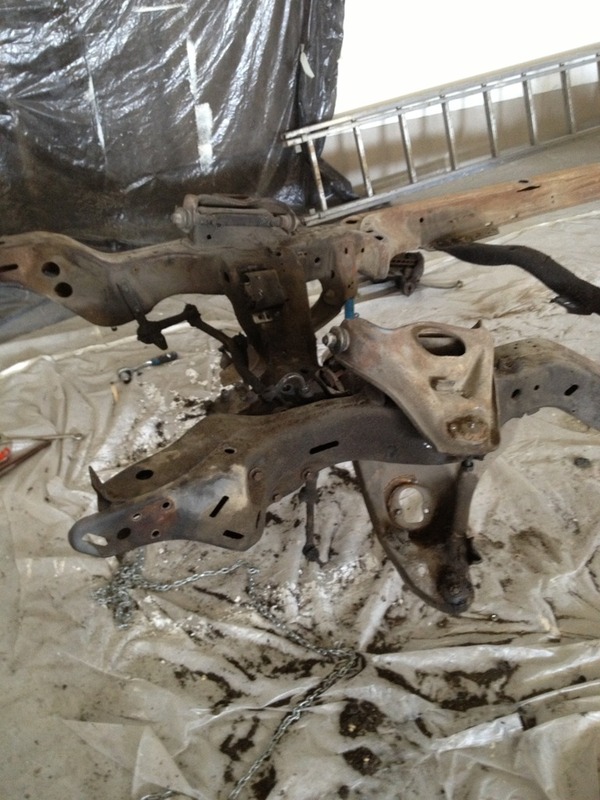 Body, frame and suspension were decided to have some sandblasting to realize what are the real scale of rust and holes disaster. Only center of the roof wasn't touched with sand. As for the engine ofcoarse I was dreaming of large 454 or enormous 572 but I understood that bigger engine will tear apart th350 and stock rearend. Changing gearbox and rearend for new ones were not in plans and budget. So I came down to the ground and wanted to rebuild stock engine and to tune a little because there was no truth in factory 145hp for me. 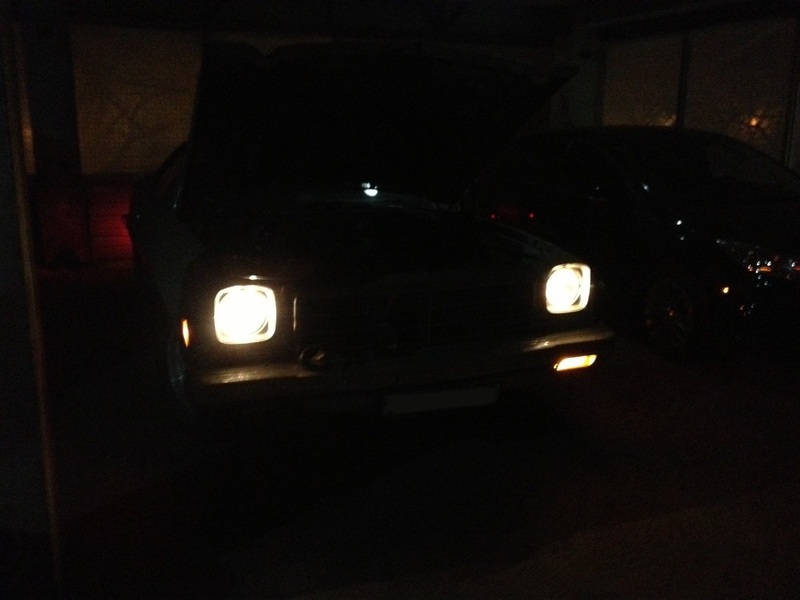 5.7 V8 and 145hp for me was like a joke, driving modern 1.8l 200hp R4 german engine. 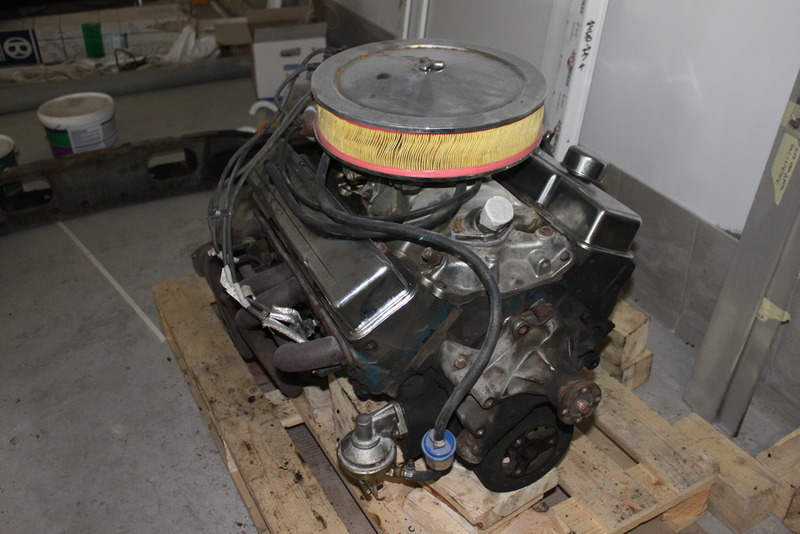 But after searching in city who was able to rebuild my engine, after hearing the price for the rebuild (I'll remind that all spare parts are on order from US) and after learning that my L65 was a 2 bolt block a decision to search for new engine abroad was made. As for the gearbox I decided to order a full rebuild kit with the hope that it wasn't dead at all. Big garage! This is very good. I have only 16x24 foot garage to work. Looks like a great & fun project ... great generation for the EC! » BADASS 500 - Coming Soon?